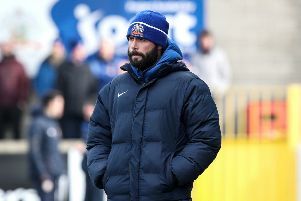 Former Carlisle United and Peterborough midfielder Daniel Kearns signed for Glenavon on Saturday. The 24-year-old, who was a free agent after being released from his Carlisle contract on September 1, was also attracting interest from Linfield. However, after talks with Gary Hamilton and Paul Millar he agreed the move to Mourneview Park. “I am very impressed with what Gary and Paul had to say and I can’t wait to get playing,” said Kearns.